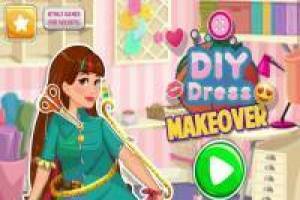 Take out your most creative side as a fashion designer and make your own dresses with this fantastic game. They will give us a dress with a somewhat outdated cut and we will have to adapt it to the new times. Make the relevant cuts on the fabric to make a more current design and then we will vary their colors and add accessories. You have several dresses to change and you will have to do it according to the pattern that is marked on each one. Create a beautiful color combination, add a belt or a pattern and make your own dresses with this game of fashion designers. 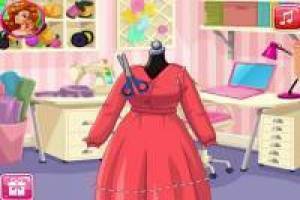 Enjoy the game Designers: Make your own dresses, it's free, it's one of our fashion games we've selected.